It’s a snow day, a day before my son’s 19th birthday, and the birth of my second uke. The finish is KTM9, a water based lacquer which I believe I will continue to use for future instrument finishes. I took several months to apply, knockdown and buff the finish, and I believe it improved the results. 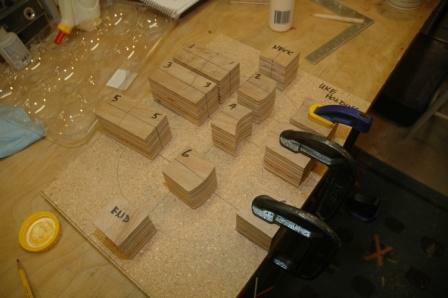 Also, 24 or more very thin coats proved to be the right approach. I avoided drips and orange peel effect, and the knockdown was more straightforward. 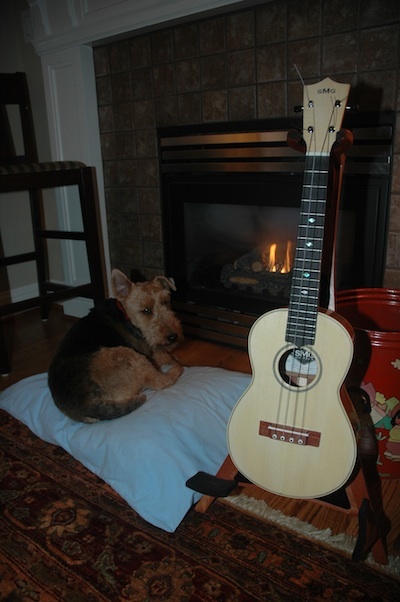 There’s nothing like a fire, dog and uke to complete a snow day at home.